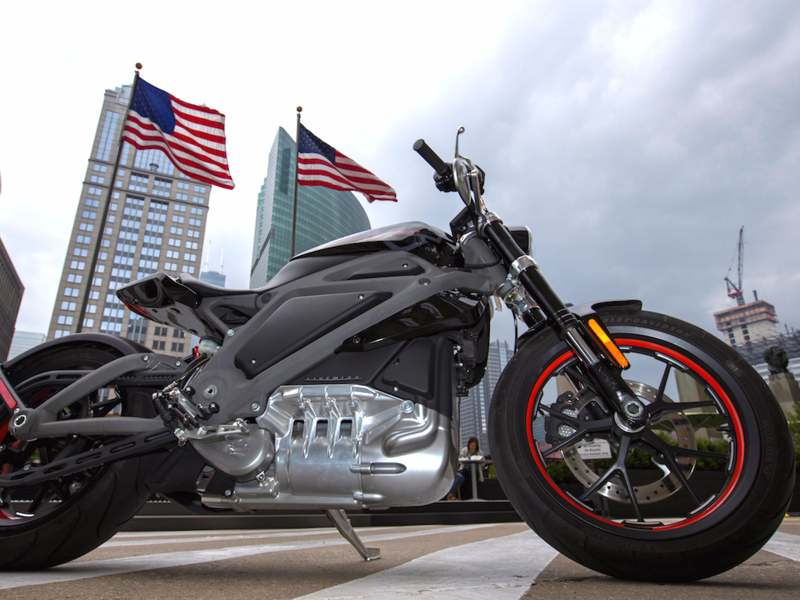 Harley-Davidson’s CEO said Tuesday that an electric motorcycle will be arriving in 18 months. The announcement happened after poor Q4 2017 earnings. Harley rolled out an electric concept bike four years ago, but didn’t follow it up with a production two-wheeler. Harley-Davidson got the biking world pretty excited in 2014 when it rolled out the LiveWire electric concept. But a concept was what it remained, although over the years the company dropped some hints that it might, maybe, possibly take the plunge. According to CEO Matthew Levatich, the electric hog will hit the streets in less than two years. “The EV market is in its infancy today and we believe it will drive excitement into our sport globally in both traditional and nontraditional spaces,” he said on a conference call with analysts, following Harley’s reporting of weak fourth-quarter, alongside full-year 2017, earnings. he overall motorcycle market is facing some headwinds in the coming years. Sales have recovered in the US since the financial crisis, but they’re less than half what they were when peak bike hit, back in 2016 with 1.6 million two-wheelers sold. The industry is struggling to attract new riders, despite an onslaught of smaller, less-intimidating machines from Ducati, Honda, and even Harley, which for decades has been king of the road with its hulking cruisers. An aging customer isn’t a bad thing: he or she can afford Harley’s expensive, profitable bikes. But eventually, they’ll age into that great biker bar in the sky. Electric motorcycles are promising both because they hold futuristic appeal and aren’t as challenging to learn to ride as traditional bikes, with tricky clutches and big, loud rumbling motors. Best of all, electric bikes are plenty fast. There could be something else going on as well for Harley. Fourth-quarter earnings weren’t great, and they sent the stock into a swoon on Tuesday. 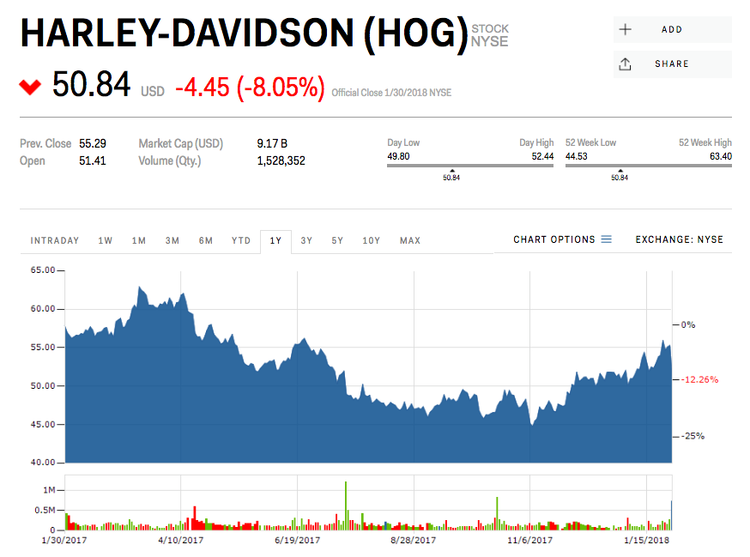 The markets haven’t been kind to HOG; over the past 12 months, shares are down over 12%, lagging the broader exchanges. Harley’s challenges are well understood, so some futuristic position is certainly called for from management. It works for Tesla, and it’s begun to work more recently for GM, which last year outlined a big electrification push. The question for Harley investors is whether the new timeline for a real LiveWire bike is believable, or just a way to change a story that’s losing traction.